In life, there are some things that cannot be bought with money — such as time, etiquette, peace, and talent, among a lot more. Now, add the Bugatti Divo to that list. Production of the latest hypercar from Bugatti is limited to just 40 units and it has already sold out, despite an astronomical price tag of 5 million Euros (Rs 41 crore)! 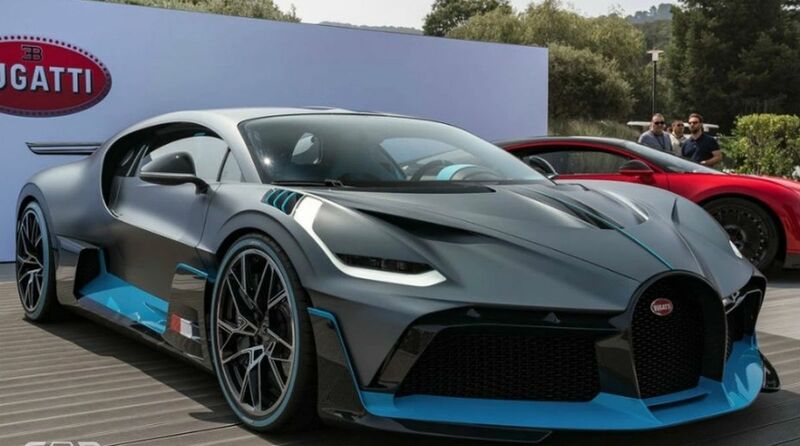 Bugatti unveiled the Divo at the Pebble Beach Concours d’Elegance in California and among everything, also revealed its top speed of 380kmph. That is less than not only the Chiron but also the Veyron, both of which can go beyond the 400kmph mark. But where previous Bugatti hypercars were known for their emphasis on straight-line speed, the Divo’s strength lies in its cornering ability. Bugatti says that the Divo is eight seconds quicker than the Chiron on the Nardo handling circuit in southern Italy. It features the eight-litre quad-turbo W16 that also does duty on the Chiron. The engine produces exactly the same power figure of 1500PS and sends power to all the four wheels via a 7-speed dual-clutch transmission. The Divo is rated to go from standstill to 100kmph in 2.5 seconds. The Divo is designed to generate 90kg more downforce than the Chiron and is more aerodynamic as well. It gets a larger front splitter for increased air to the front inlets, a slightly modified roof, and the height-adjustable rear spoiler is also wider in comparison to the Chiron. Even the lateral acceleration has been boosted from 1.5 g on the Chiron to 1.6 g on the Divo, which results in it taking corners faster. On the inside the Divo gets Alcantara upholstery in ‘Divo Racing Blue’ petroleum tone. For the sake of keeping overall weight in check it gets a lighter audio unit, and the stowage space in central compartment and door trims have been done away with. The result is a hypercar that is 35 kg lighter than the Chiron.